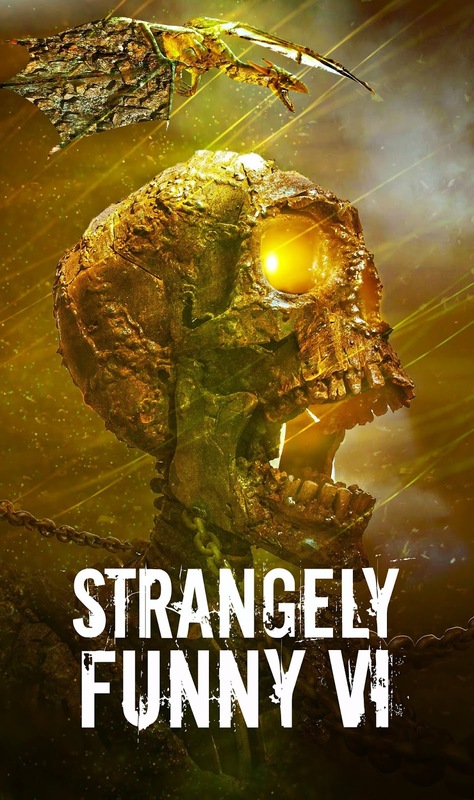 I am proud to announce a new humor-horror anthology is coming out this year, the next installment of Strangely Funny (this one is the seventh but it's numbered Sixth, we'll explain later)! 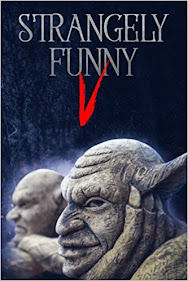 The story they accepted is "How a Vampire Gets A Tan," a sequel of sorts to the "Minette Dances With the Golem of Albany" published in Volume III. If anybody enjoyed reading that and the other Dhampyr story "I Must Be Your First," I hope you enjoy this follow-up as well. I'll let you know when the book is available online for print and eReader! I've settled on the plot ideas I've been bouncing around in my head since 2004. It's gonna be a story about a man who meets a woman during the war. Okay, so I'm ripping off the plot of the Book With the Blue Cover (wherever it may be on our shelves). BUT DAMMIT I'M TIRED OF SUFFERING FROM WRITERS BLOCK. (activates lightsaber before heading into battle) CHARRRRRRGGGEEEEEE!!!!!!!!! I know I promised to find a work I had on the backburner and clean it up for possible publication through IngramSpark to see how the experience went. Well... one month later and I haven't gotten anywhere near fixing that project and getting something going. There's every excuse I can throw out there, but the basic answer is I am just not feeling it. I'm bummed and stressed about three to thirty things that don't even have to do with writing, and I'm bummed and stressed about that. I'm looking back at about ten years of working on NaNoWriMo projects and finding not a one of them - whittled down to five solid candidates - grabbing my interest to get done. Even with Camp Nano starting again this April, I am feeling challenged and unmotivated. Anyone know the hourly rates of a good Muse? It's St. Patrick's Day, You Know What THAT Means! Well, I have gotten to 500 posts on this blog, and I'm getting there by way of neither librarianship nor writing. I need to update my passport and save up more money to make a trip to Innisfree meself. If I Can Clean It Up, I Have A Work To Publish this 2019. If you note my habit of writing for November, I will on occasion finish a rough work-in-progress and win the NaNoWriMo prizes for crossing the 50,000 word mark. A self-publishing discount with IngramSpark. In case you're not a librarian or bookstore manager, Ingram handles a lot of book and AV distribution. With the growth of self-published works, they've jumped into that market - competing with Amazon's Createspace, you might have heard of that - and they bring to the table an advantage of providing print / ebook for market to libraries and brick-and-mortar stores (the stores are not obligated to display books, but you may be able to make personal arrangements with stores in your area). As a distributor, Ingram has a decent reputation, so this may be something that can help a self-published guy like me find an audience. Well, I hope I am wiser and sadder about this year about my chances in the Florida Writers' Association's Royal Palm Literary Awards. This time I shan't get my hopes up too high. I will remain even-keeled well past any Finalist standing(s) I might earn. I am putting in for more entries this year. Not only an unpublished Short Story submission, but also a Published Short Story (I shouldn't say anything until later which it is), and also a NEW category they are offering in the Non-Fiction category: Short Non-Fiction covering articles and BLOGS (oh, yeah, I have one of those). We'll see how my year goes. Wish my stories luck, peeps. 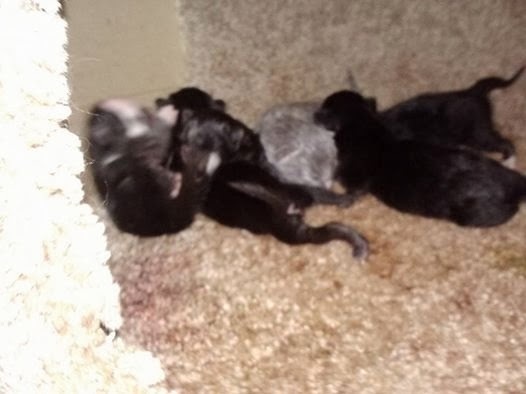 Facebook reminded me that I posted images of Ocean giving birth to her kittehs this weekend, right around the 4th Quarter of the Seattle-Denver Super Bowl where the Seahawks were just mashing the Broncos. Mal is in that pile somewhere. I named them after six of the characters from Firefly: Mal, Zoe, Jayne, River, Simon, Inara. I kept Mal because black cats are harder to adopt out (River was a tuxedo kitten like her mom and Inara was the grey kitteh: they went first). YOU try keeping a birthday hat on a cat.